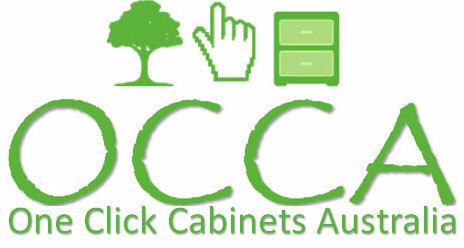 One Click Cabinets Australia has been developed over many years both in the industry and outside of the trade. Its main focus is to take the load off developing businesses cash flow and space and time. We have a solution which we believe is extremely flexible and if used as intended could be an addition to your business. We offer a service which will custom cut and supply your carcasses and doors , wall paneling from any material specified, either using your material or we can supply the lot. We can use whatever hardware you require or have specified for your particular job. We have the ability to draw your project and process with the drilling and cutting for your chosen hardware . We can supply hardware as part of the process as well if needed. Our turn around time is extremely quick as we all know the speed of today’s industry. You can bring your plans to us to input to our system or you can go straight to our online ordering system . If we don’t have what you need online let us know and we will build it and put it on line for you. All custom sizing is available. No limits. Our goal is to work within the industry and supply reputable companies a high quality cutting service. We are backed by well over 35 years experience in the trade which comes with the people who you deal with and in today’s market is vital. We have also developed a wall paneling which is custom sized and designed which is great for shop fitting or feature walls to assist with you designing of high end cabinetry. Feel free to visit our website and have a look through. We are happy to receive feedback.